Molina Medicaid Solutions (MMS) provides design, development, implementation, and business process outsourcing solutions to state governments for their Medicaid Management Information Systems (MMIS). MMIS is a core tool used to support the administration of state Medicaid and other health care entitlement programs. MMIS is also customizable to support additional government systems including Decision Support Systems. Uniquely positioned to help state agencies meet their health care administration and MMIS goals, MMS currently holds contracts with the states of Idaho, Louisiana, Maine, New Jersey, and West Virginia, as well as a contract to provide drug rebate administration services for the Florida Medicaid program. As part of the Molina Healthcare family, MMS is the only solution of its kind implemented by a health care company with more than 30 years of experience supporting state Medicaid and other government-sponsored programs. 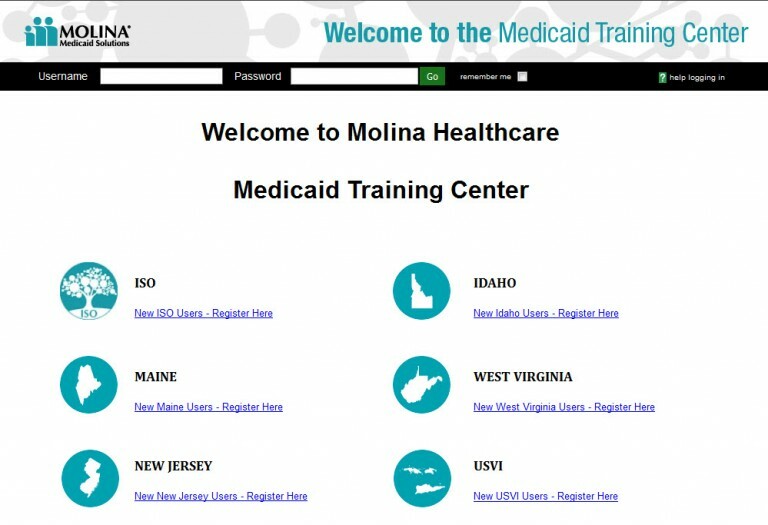 MMS is a subsidiary of Molina Healthcare, Inc.
Molina Medicaid Solutions (MMS) needed the ability to centralize the state required provider training for their Medicaid billing system. They needed the flexibility to brand each state, separate the curricula by state, restrict access to information by state, and target messaging by state, yet they also needed the information stored in a single database to reduce administrative burden and allow certain MMS administrators to create reports with cross state activity. MMS wanted a SCORM-certified platform to ensure their current e-Learning course library (built primarily in Camtasia and Articulate) would be able to be used without issue. MMS was looking for not only an LMS provider, but also a partner to help them navigate through the setup and design of a complicated delivery system. eLogic Learning delivered a centralized Learning Management System with four state branded portals at the initial launch. The solution provided MMS administrators the flexibility and security to deliver state specific content to each distinct group within the platform. Because of the sporadic nature of medical provider usage of the training (complete training today and then not access the LMS for two years), eLogic Learning created a unique usage license model to ensure MMS was not penalized financially by having a large number of dormant user licenses. This commitment by eLogic Learning to find a practical business solution to MMS’ unique situation created a partner for life relationship between the two organizations. With the launch of the eSSential LMS in 2009, MMS gained the capability to deliver customized, state specific training. The platform gave them the ability to monitor training activity and measure the effectiveness of the training. This ensured they were always in compliance with their State contracts. This blended learning approach has resulted in significant cost savings and assurance tracking of compliance for employees. The MMS eLearning catalog now features over 560 courses. MMS has used the eSSential LMS to manage over 4,300 instructor-led events since the application launch in 2009. Training for over 3,300 users geographically spread across the United States is managed with a single LMS solution (the eSSential LMS). The combination of ILT and eLearning courses have led to over 34,000 trainings completed through the LMS.